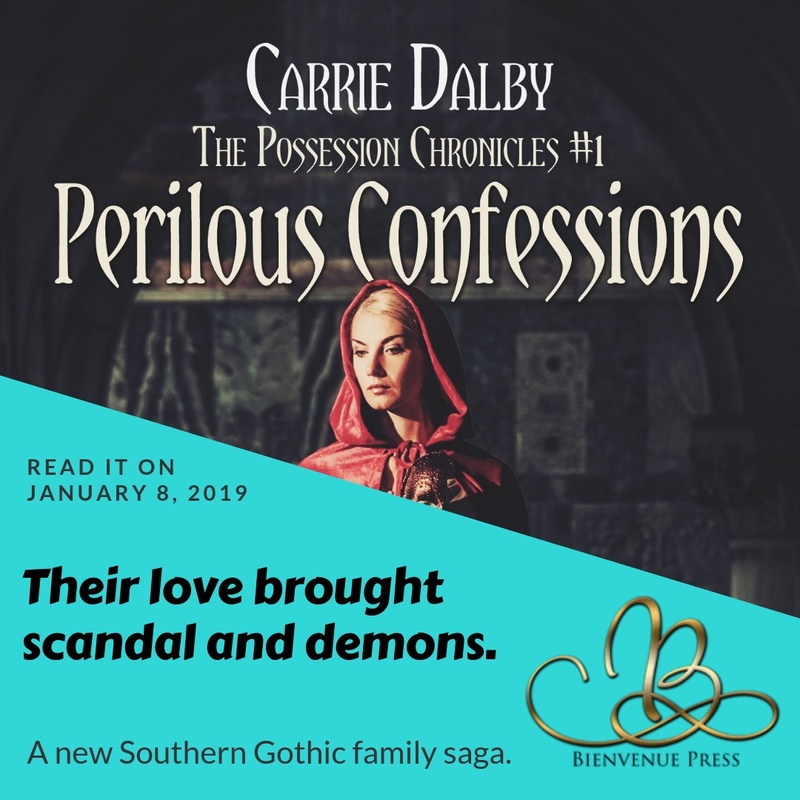 Perilous Confessions, the first book in The Possession Chronicles, has been out in the world for just over two weeks. You know what that means, right? It’s time to unveil my soundtrack for it! My writing process starts with creating a “mood music” playlist for my project that I listen to almost exclusively while I’m first drafting the story. (Perilous Confession‘s playlist has 474 songs, so I didn’t get bored with the music.) From that list, I create a soundtrack once the first draft is complete. Once I work edits–which has its own “editing playlist”–I adjust the soundtrack further until final edits are complete through the publisher. The following is Perilous Confession‘s musical journey. If you listen to each song in order, you will known the story line, so you might want to save until you’ve finished reading. What songs would you add to the Perilous Confessions soundtrack or mood music playlist? Last night I went to a concert for a band I thought of as decent and liked a few songs by them (including one that’s on a soundtrack for a book in The Possession Chronicles.) 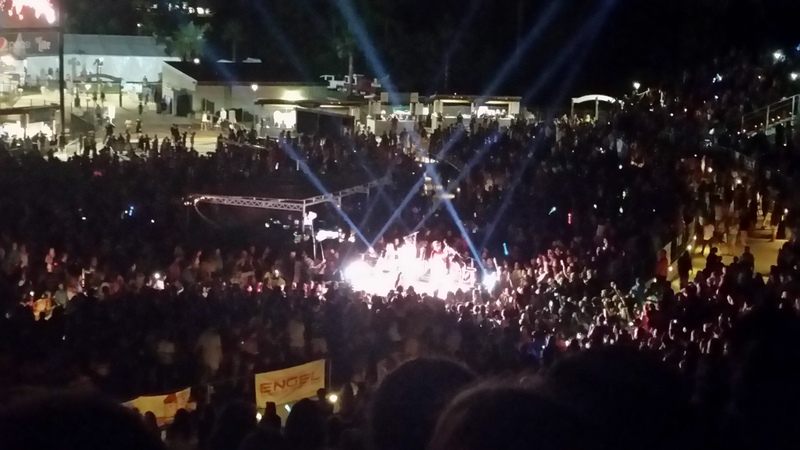 Usually I don’t attend a concert unless it’s by a favorite because of two things: time and money. But this instance was for a good cause—an early birthday present for my middle child. 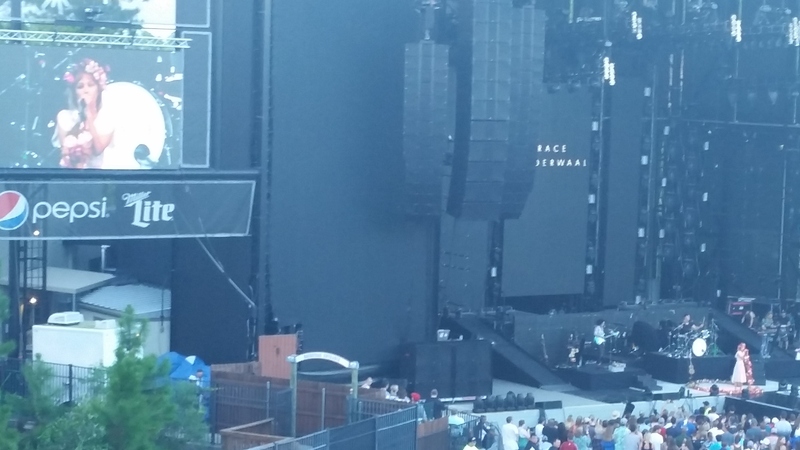 We journeyed to Orange Beach, Alabama, to The Wharf in the stifling August heat to see Imagine Dragons at the amphitheater. 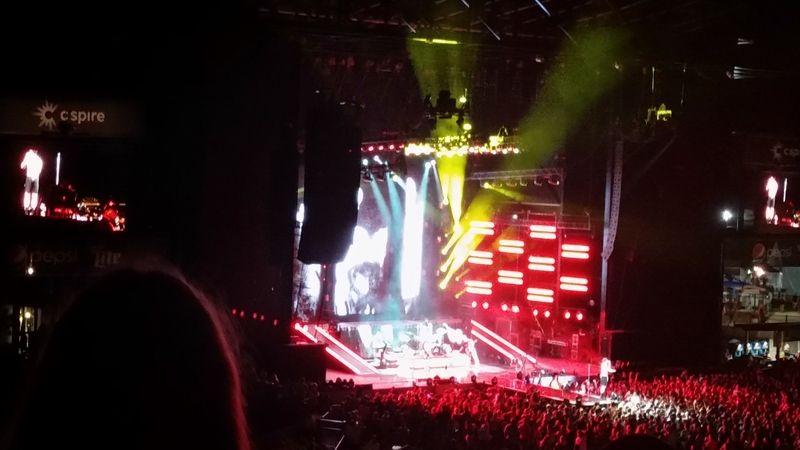 I was impressed by the fourteen-year-old opener, Grace VanderWaal. Mature voice, peppy songs, and adorable when she ran from a dragonfly and messed up the words. I’d never heard of her before and forgot to look her up before the concert, but it was a good set. A half hour later, Imagine Dragons took the stage in an epic opening with “Radioactive.” First point: several songs in and I appreciated their talent completely. The sound was tight, energy good. (I love hearing bands live and often prefer live versions to album versions of songs by my favorite bands.) 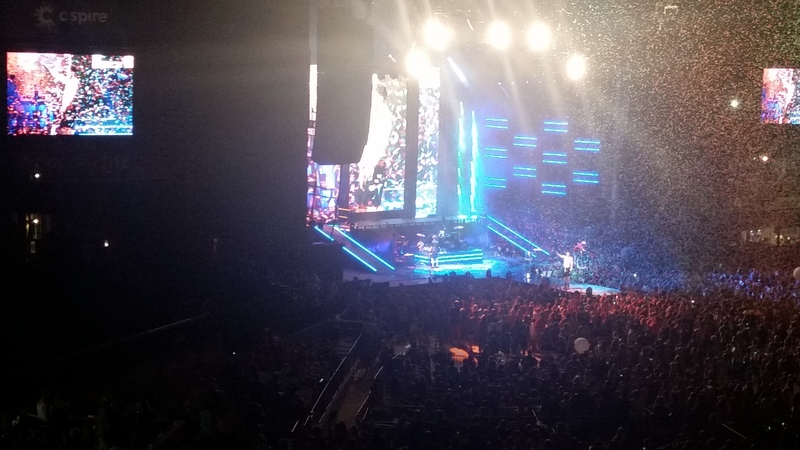 And I’ve never seen so many confetti cannons before! They didn’t wait for a finale—they were going off throughout. Only the giant balloons were saved toward the end. Even more point (are we still keeping score? ): during “Demons” (one of my Possession Chronicles songs—lots of inner demons and otherwise in the series) Dan Reynolds did a shout out to youth suffering with depression and anxiety, urging them to seek therapy and find empowerment there like he did, and not take their lives because they are loved and needed. The whole show was like a party, positive vibes and sing-along fun until they ended with “Believer.” Much respect for Imagine Dragons! Is there a band that won you over when you saw them live? Fifteen-year-old Mary Lou Weber is suffocating in her sister’s shadow. Though she struggles to break into the light and claim her own identity—and the attention of the cutest guy in school—something always seems to pull her right back down into the role of Barbara’s little sister. Down the street lives seventeen-year-old Ben Thomas, a lonely introvert who is captive to a sensory condition that makes it nearly impossible for him to stand in sunlight, much less talk to people whom he thinks could never understand his difficulties. A new year kindles the friendship between a guy who pushes away a world and the girl who’s striving to find her place in it. Can the relationship help Mary and Ben find balance in a world that frequently seems too much to handle? Like my other stories, I incorporated my love of music into the writing process for Corroded. The following is the complete soundtrack, with songs from both Mary’s and Ben’s perspectives. You’ll see some of my favorite musicians, but also a few surprises. I’m just highlighting a few of them with links, but search the others out yourself—they’re well worth it. As always, I’d love to hear your thoughts on this post or any of my books. Comments, questions, and reviews are welcome. Happy reading! I’ve posted about writing mood music and soundtracks for my stories before, but I thought it’d be fun to bring the official, post-published soundtrack for Fortitude to the forefront of my site for a little while. Fast fact: I can’t listen to music with lyrics while editing—only when writing fresh scenes. “Master and Commander: The Far Side of the World” and “Pride & Prejudice” (2005) soundtrack albums were the most listened to during edits on Fortitude. While the “Fortitude Groove” playlist has over fourteen hours of tunes (including the above albums), I narrowed down songs for specific scenes in the book. A few of the songs transcend their listed chapters like “No Stone Unturned” and “Carry On.” Those two embody the whole theme of the book while the others merely highlight certain sections. I’m including Youtube links for those two songs for three reasons: their importance, their awesomeness, and the fact that some of the other songs are so obscure they aren’t on the web/there isn’t a decent video for them. It’s important to note that the songs aren’t always from Claire’s perspective even though she’s the main character. Sometimes the music is from the point of view of one of the secondary characters or even shared by more than one person. Curious? Go look up the songs, listen for yourself (if you can find them), and then come back and share your thoughts. P.S. I like to hide song titles in all my manuscripts, but unless you’re familiar with the selections in my iTunes account you’ll never catch them. Good movies are fun to watch. They can be inspiring, emotional, or even just entertaining. I tend to love movies that are all of the above—laughter, tears, and cheering on the characters are what make watching movies (and reading) enjoyable. One movie I adore is Turbo. 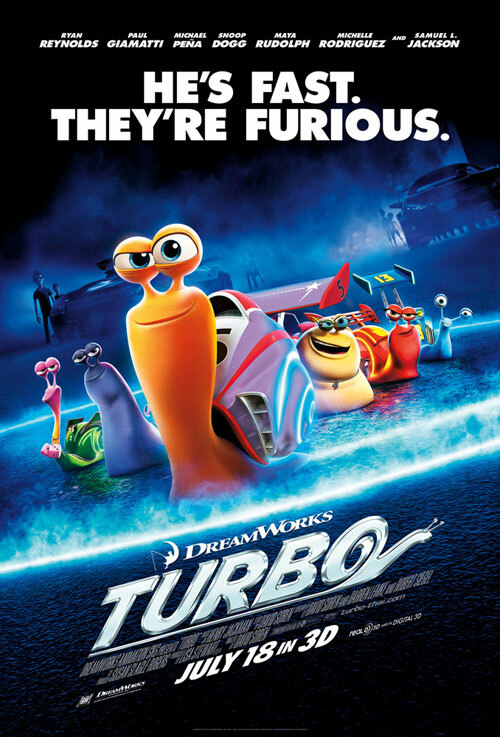 Yes, the movie about a racing snail. What makes it work? Nostalgic (to me) So Cal flavor, the underlining theme of never giving up (ridicule, injuries, and mishaps can’t stop him), voice talents of Paul Giamatti and Samuel L. Jackson, plus the whacked-out soundtrack (it almost makes my iPod on Shuffle look tame). Almost. •	Yeah, I’m crazy! What made you think I was sane? •	No dream is too big, and no dreamer is too small. •	What happens if you wake up tomorrow and your powers are gone? Then I better make the most of today. Now it’s time for me to “snail up!” and get back to edits. What’s your favorite movie line? It’s been two weeks since I finished the first major round of revisions (there were several edits along the journey) on FORTITUDE. While waiting to hear back from beta readers, I’m working on the synopsis and query letter for it. Plus, a lot of knitting and watching movies have happened—it’s not all work here. Also, I’ve been reading a couple of my friends’ manuscripts. Finished with one from MeLeesa Swann and now I’m on to Israel Parker’s latest epic. 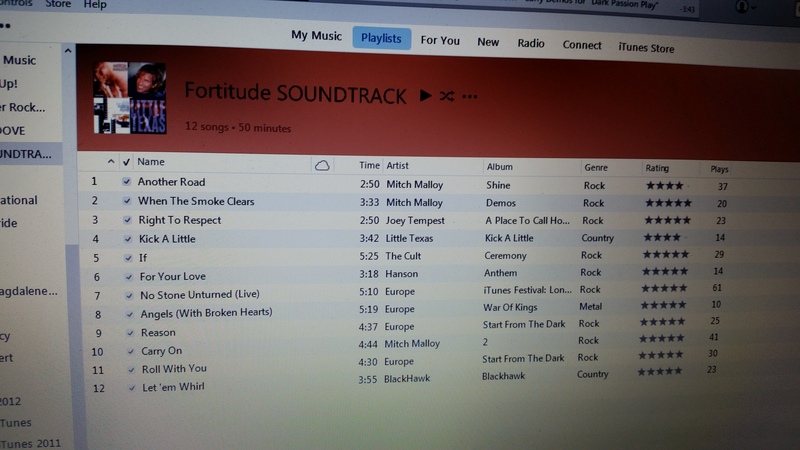 The good news, among all this waiting, is that I can work on the official soundtrack for FORTITUDE. As noted in this post, I like the music to match the arc of the novel. With this being a historical journey, I’m trying to make sure the lyrics fit the times. (Think Bid Time Return—that’s Somewhere in Time to the movie buffs—so the listener/reader isn’t jarred out of the story. Yeah, I’m a geek.) So, out of over thirteen hours of FORTITUDE mood music, I’ve got to arrange a manageable list of timeless songs to share with others. But I’ve stumbled across a few gems in my regular playlist mixes that weren’t in my collection, including this one, which works perfectly during the lowest point for main character Claire O’Farrell, “Reason” by Europe. Now for a dozen more. I was tagged/nominated by R.K. Grow, a fellow writer on Twitter @tolkien418, for a Liebster Award. Thank you! 4. Copy and Paste the blog award on your blog. 1. Twizzlers or Red Vines? Neither. Licorice isn’t my favorite and black licorice is even worse. 2. Do you have a current WIP? If so, tell us about it. FORTITUDE: Dauphin Island, Alabama teen Claire O’Farrell and her best friend, Loretta Davis, get caught in the middle of the racial tensions of the Spanish-American War camps in Tampa, Florida during the summer of 1898. 3. What is your favorite punctuation mark? 4. If you could pick the songs for the soundtrack of your novel what would they be? 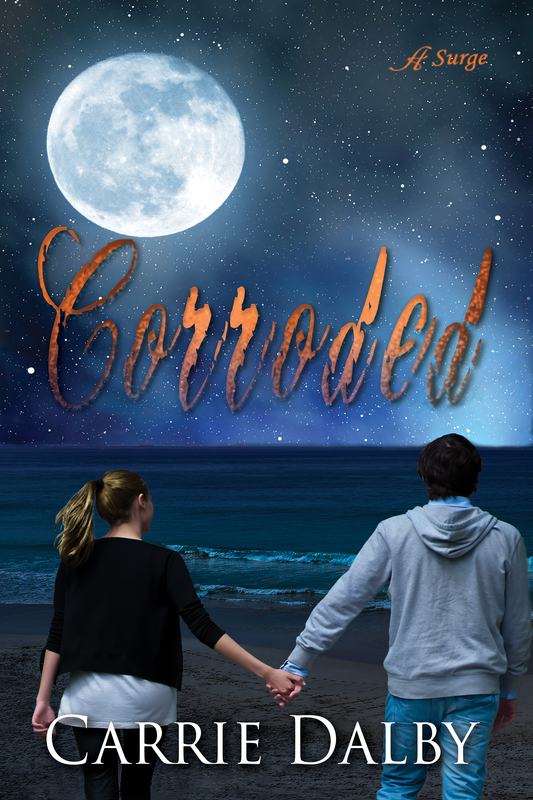 The soundtrack—complete with YouTube links—for CORRODED, the novel I’m currently querying, can be found here. I’m only about one third of the way through the first draft of FORTITUDE so it doesn’t have a soundtrack, just a “Fortitude Groove” playlist on my iPod. It has 121 songs with the majority of flavors being Irish-Celtic, country/blue grass, and soundtrack instrumentals that evoke the emotions I hope to create in the reader. For now, I listen to it on shuffle when writing, researching, or just getting in the proper mood. 5. What are three words that describe how you feel about writing? 6. What is your favorite genre to read and why? Middle Grade, especially those books geared for readers ten years and older. It can be contemporary, historical, fantasy, whatever—I’m just in love with the coming-of-age theme that is prevalent in literature for late childhood and the teen years. Part of that is because I’m still searching for where I fit in. I haven’t found my social niche, but at least now I’m comfortable with myself—usually. 7. What music do you listen to when you write, if any? Music plays a HUGE part in my writing, but which music I listen to when writing depends on the story. I have over eight days worth of music up/down loaded into my iTunes account from a wide variety of genres. I gather music to fit the mood I wish to create when writing, then I painstakingly chose a soundtrack to mesh with the scenes of the novel as it progresses. This is something I’ve done since I began writing over twenty years ago. See question #4 for a sample. 8. What is your writing goal this year? I also hope to hear at least one positive response from my queries about CORRODED in the meantime. Laptop, but I use it on a desk/table/counter top with a full size keyboard and mouse whenever possible. 10. How do you stay motivated? 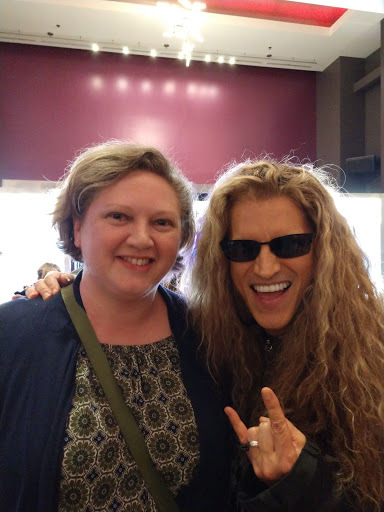 MUSIC—I’ve noticed if I don’t take time to listen to my music (as opposed to my kids’ stuff or whatever is playing around me) I lose inspiration. BOOKS—Reading books by people whom I admire and hearing about them getting recognition for their efforts is inspiring, too. 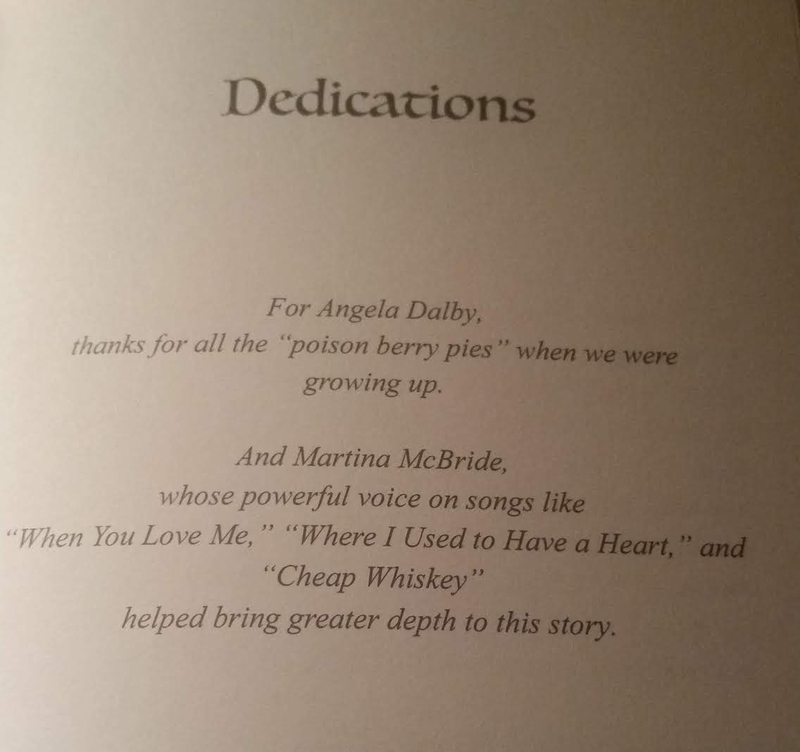 GENEROSITY—The humility and generosity of some of the authors and musicians I respect the most is incredibly motivating. (See my posts on Fantabutitus.) I want the chance to pay-it-forward so I need to be writing successfully to do that on a higher level. 11. What is the primary focus for your blog? Literature: both my own and other peoples. I usually blog about reading and writing, though I often take themes from my novels as blog topics. Seldom, I’ll post about my family or homeschooling—without it dealing with books—and even rarer do I mention current events. So, now for awarding the next generation of Liebster Bloggers, and please don’t take offense if you have more than 200 followers—not all the blog have those stats public. If you don’t know these bloggers, take a minute and check them out. And here are your questions—looking forward to reading the answers! 1. What gets you going in the morning? 2. Morning person or night owl? 3. If you could pick one, what book would you want the world to read? 4. Do you prefer TV shows or movies for entertainment? 5. Is your blog your main writing project? If not, tell us what else is in the works. 6. What is your favorite place to catch up on news—print, online, web, etc? 7. Peter Rabbit or the White Rabbit? 8. What’s on your desktop wallpaper right now? 9. Radio or your own personal music selection? 10. Best or worst concert experience.